What does social networking have to do with the stock market? 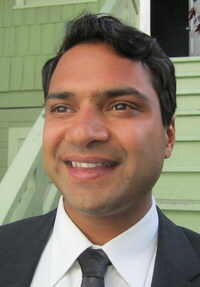 According to Vinny Jindal, the CEO of Los Angeles-based startup Stockr (www.stockr.com), everything. Vinny talked with us about his startup, which allows users to discuss and collaborate on their stocks and finances in a social way. What is Stockr all about? Vinny Jindal: Stockr's mission is to help people invest better. The two things that are mostly lacking from people's investment experience are the lack of a wide network of people to refine investment ideas with, and the best available content about companies they are considering investing in. We wanted to tackle that problem, by using a social network. In that network, we bring in content from all over the web. We're taking content from about 200 different publishers of financial content, and tagging that content based on companies that are discussed in that article, and post that to a company wall. Unlike anywhere else on the web, you can then respond directly when you see that comment. To make sure you're putting your best foot forward when you make those comments, we require that you use your real name. We also only allow you to create an account using Facebook Connect or LinkedIn Connect. How is what you are doing different from what is out there? Vinny Jindal: There are a couple of major differences. There is no social network online which provides authentic ideas about the stock market. Everywhere else where you can talk about the stock market is anonymous, like Yahoo's message board, or other forums online. Either that, or it's exclusive, like the Value Investing Club or Sum Zero. What all those places share is they lack the social tools and technology that you would expect in a place like Facebook. Having built those tools, we know people don't just want to read content about a company, or see what other people have to say, they'd like to ask questions, and some really enjoy being experts. There are experts among us, in biotech, in technology, and across all different industries, who would like to be recognized for their expertise, and their ability to identify pieces of information and share that information so that you can make a better investment. What's your background and how did you start the site? Vinny Jindal: I was originally a scientist. I have a degree in endocrinology, and had done research in biology, and I became interested in biotech. My first job was on Wall Street, as a biotech research associate at Lehman Brothers. I was a junior member of the team, and the team's job was to come up with ideas for investments in biotech stocks, and distribute those. That was my first exposure to how investment ideas are created, distributed, consumed, and acted upon. I then spent the next ten years in different roles, on both the buy side and sell side. Having that experience has given me an understanding of how information flow, and how important social networks are. Almost no on eI know has any capability to make decisions completely on their own. They'll talk to friends, professionals will talk to the management team of a company, they'll talk to other experts, and they'll talk with friends at other funds. It was clear that technology is improving so that anyone can avail themselves of that network. That was the thought process behind what myself and my co-founders, Tim Symington and Bryce Knight, discussed when we came upon this idea. The idea was to create a social network around investing, so that literally anyone can be an analyst. Where are you now in terms of letting people use your system? Vinny Jindal: We're in private beta right now, and we're growing the user group in a private beta. It's sort of an ongoing process, where you're 98 percent done, and you go into private beta, and then stuff you're not aware of comes up because people are using the system and testing it. We think we've discovered the last little rough spots to polish up, and we're expecting to be fully launched by mid-July. What has been the most difficult part of getting up and running for you? Vinny Jindal: There are many different things, but I think it's been a combination of resource acquisition, capital, and engineers. They all go hand-in-hand. Raising money is never easy, and when you have a product like ours it's interesting. In the Internet space, the mantra is to build a minimum viable product, with $20,000 and just one engineer and a month in time to launch, and see what happens. However, our product is for the financial area, with people who want to make investment decisions. That means the product we had to create took even longer developing, at far greater cost. For example, quotes are quite expensive. So, as our product took longer time to development than a typical Internet startup, keeping our company funded and moving forward was the biggest challenge. And, like any other startup in Los Angeles, finding engineers, quality engineers is a challenge. We have been luck to find quality engineers, and lucky to put together a pretty awesome team, who are engineering rock stars. Finally, any interesting insights you've gained into stock investing from your initial product? Vinny Jindal: There are lots of examples of where someone says – I'm going to buy this stock here, and sell at this price. But, because their friends have seen that, they have at time called them out—asked them why they're still a holder, and why aren't you selling? I thought you said you were going to sell? It keeps people honest, and at the same time, encourage collaboration. It's much like a Fantasy Football dynamic. Lots of people play fantasy football who are not terribly interested in football, but they like doing something with their friends which is fun and competitive.